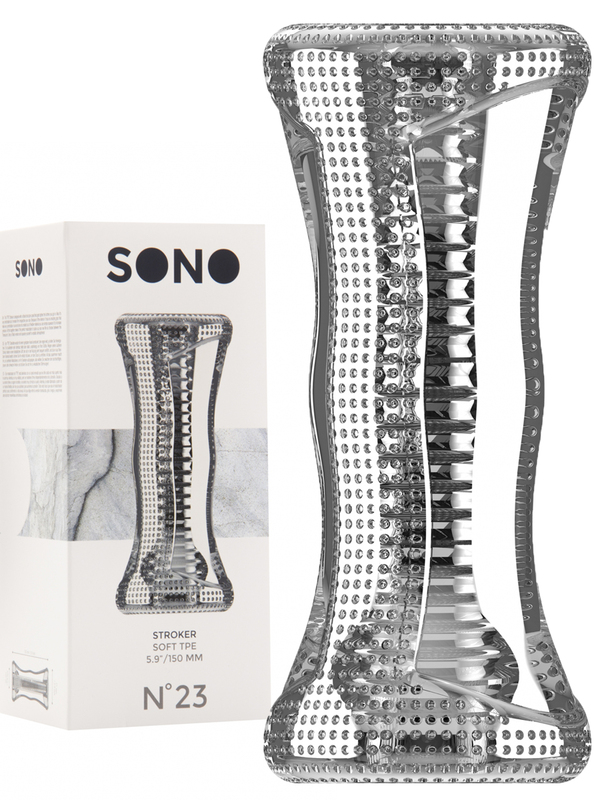 The uniqueness of the Sono Nr. 23 Stroker is the structure canals that gets tighter the further you go in. The ribbed of the full canal length provide for the extra kick. The opening on the end can covers for more suction and allowed easier cleaning. The outside structure gives a perfect grip and is squeezable for increasing the pressure. The transparent and phthalate free TPE material give you the view of your masturbation experience.